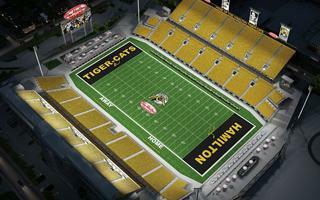 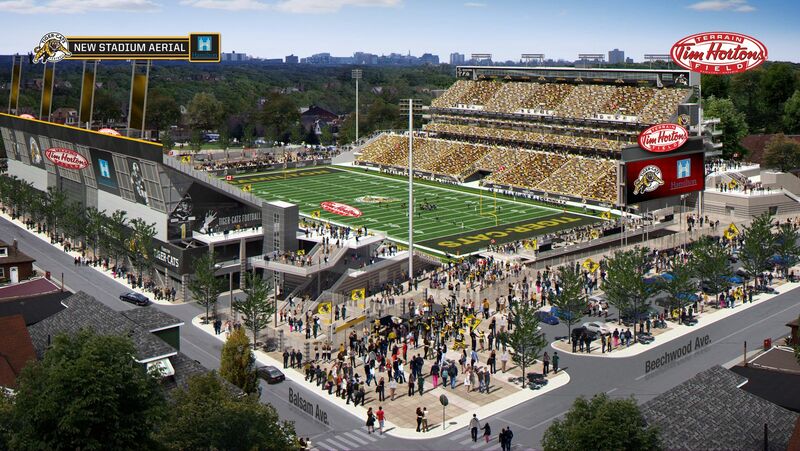 Construction began in early 2013, when the old Ivor Wynne Stadium was demolished and made way for foundations. 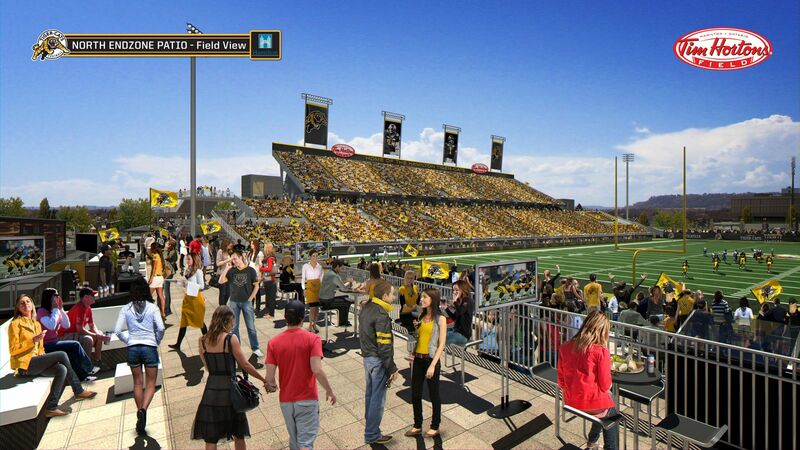 The new ground will shift 90 degrees to a north-south axis from the east-west format. 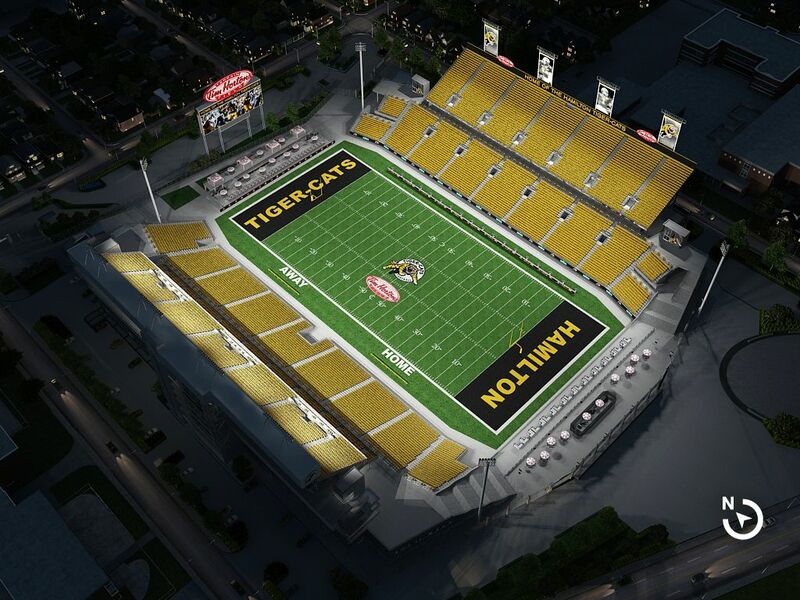 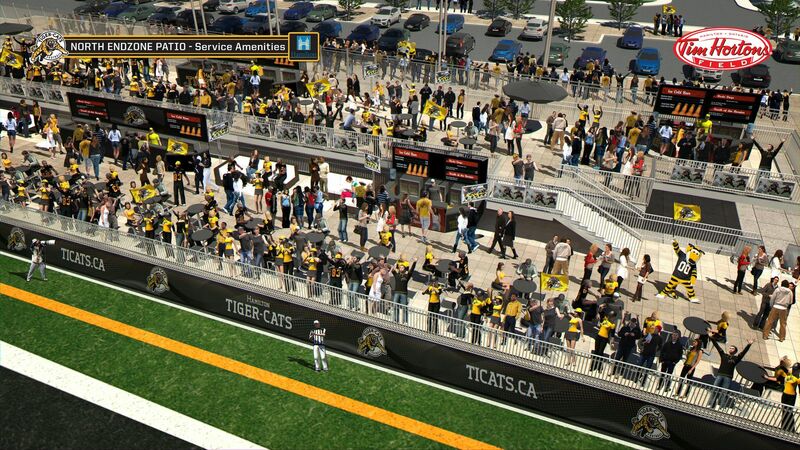 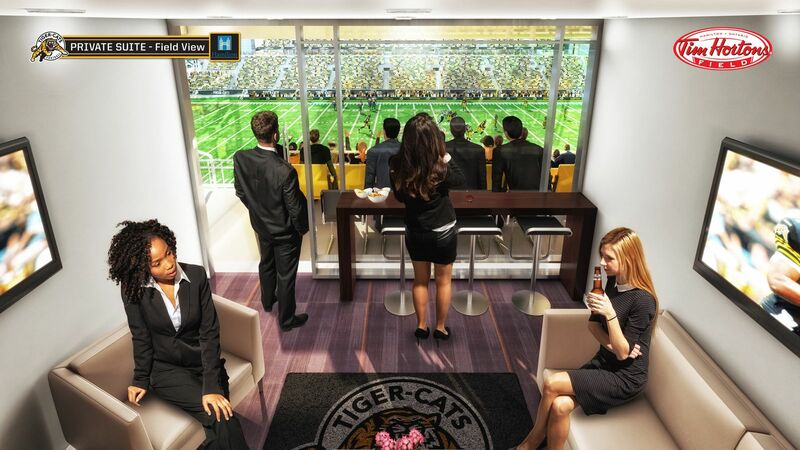 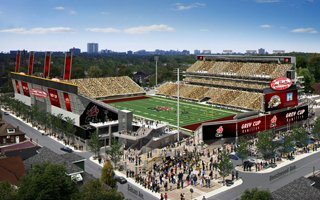 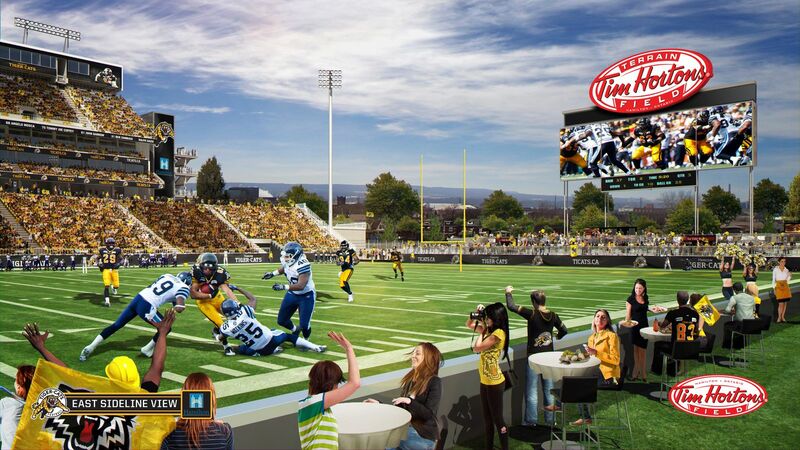 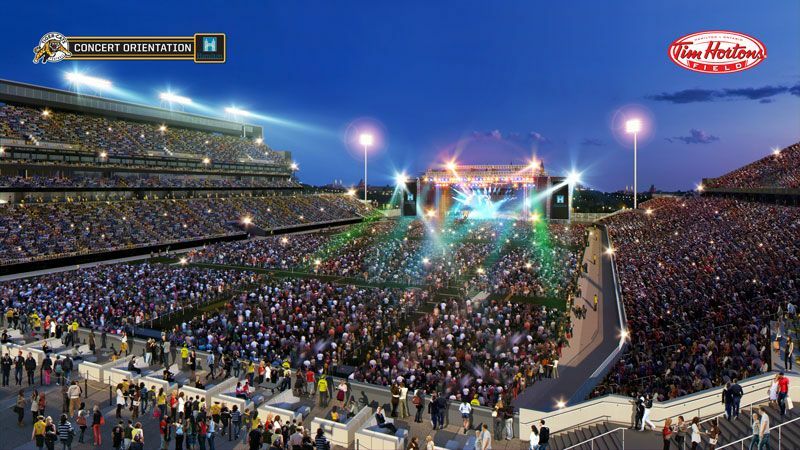 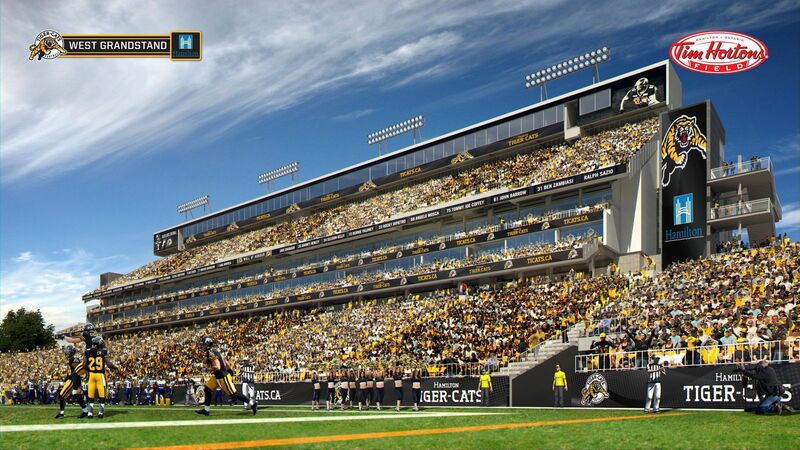 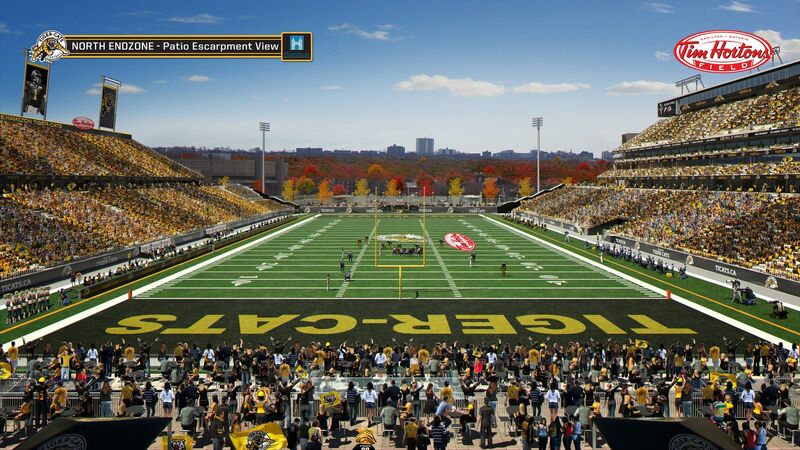 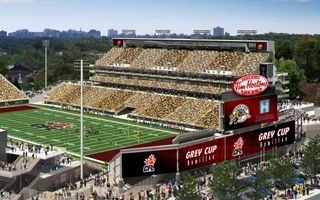 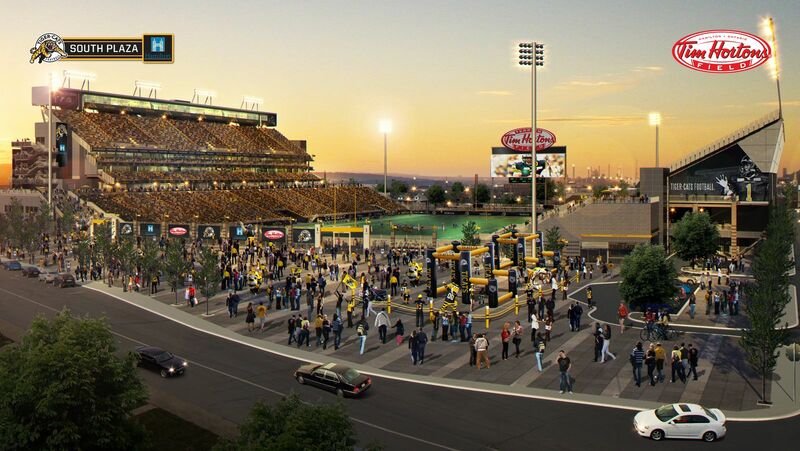 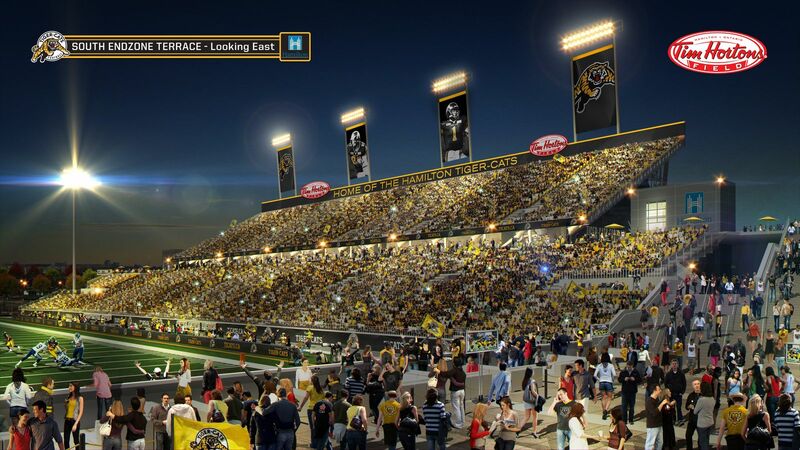 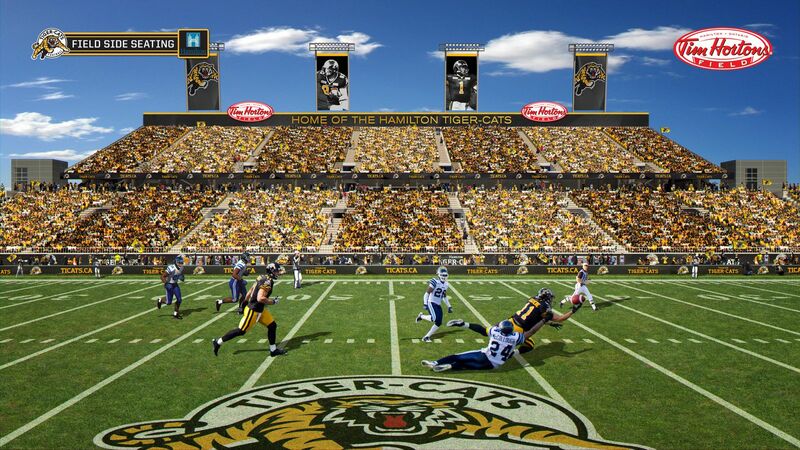 Covering 5.45 hectares, Tim Hortons Field (name sold for 10 years) will thus receive a more conventional orientation, with the main grandstand with most hospitality spaces in the west (altogether some 30 skyboxes and 1,100 corporate seats). 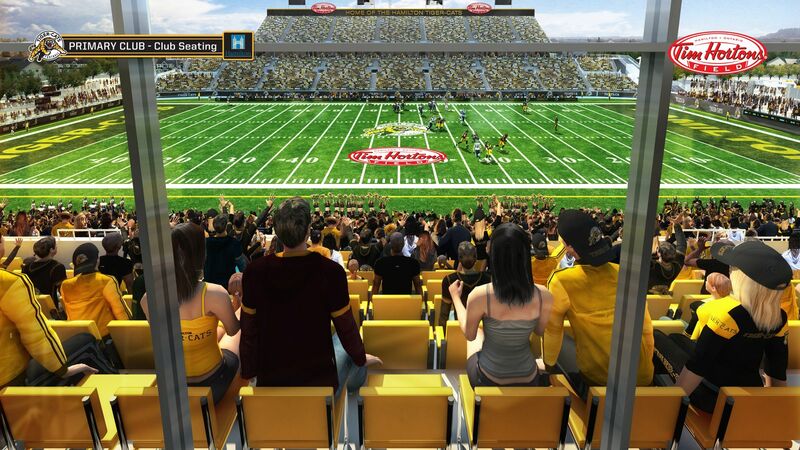 22,500 individual seats will be placed along the pitch, on double-tiered stands. 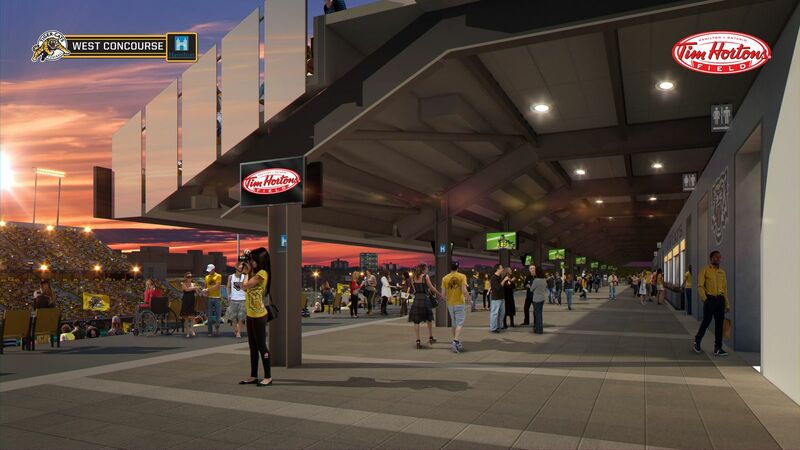 Both ends are designed to remain open and hold only terraced bars overlooking the pitch, holding further 1,500. 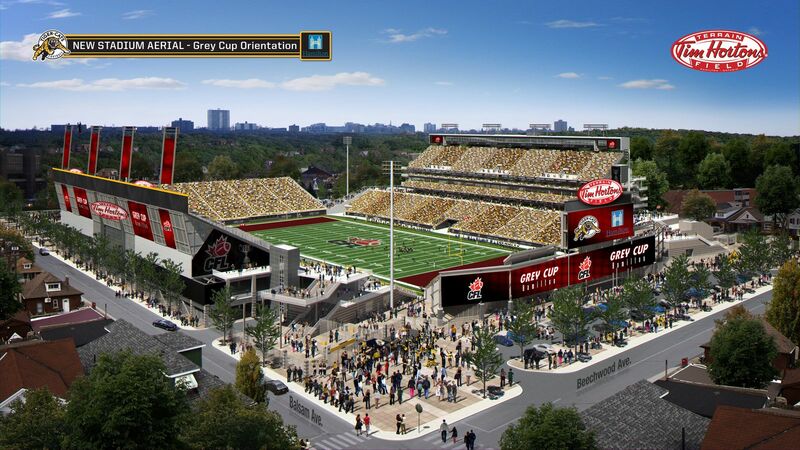 This layout may change temporarily for large events, like the Grey Cup game, seeing single-tiered tubular stands for further 13,500 people built (reaching 35,000 seats). 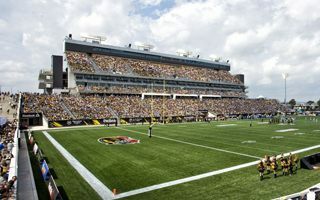 Estimated from the beginning at around $150 million, the stadium’s current price tag stands at $145.7 million (or US$130m / €95m). 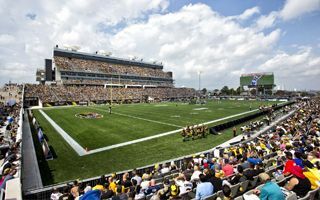 Largest portion of the funding came from federal resources ($69.1m), second contribution is the city’s (54.3m), while provincial authorities supplied the remainder ($22.3m).